Our researchers were digging in the Kerbal History of Space Flight and they tumbled over some long forgotten parts. 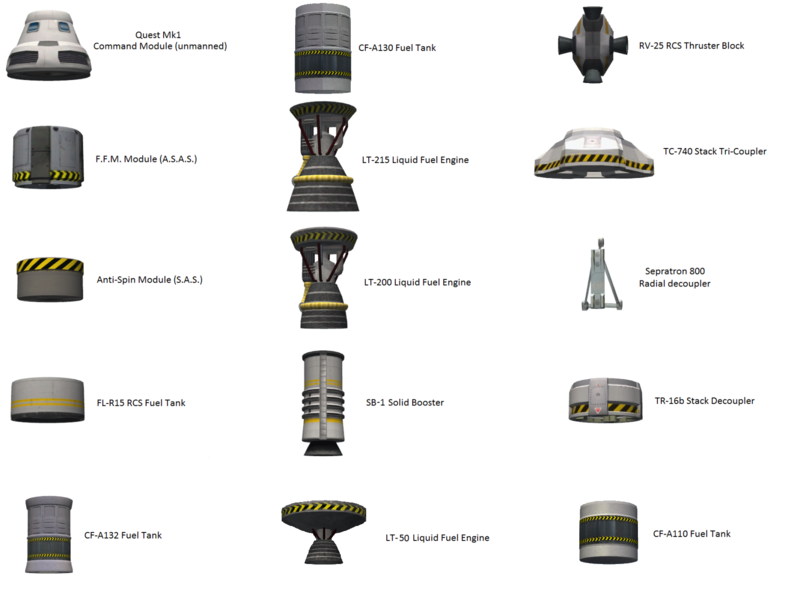 Thanks to the work of our researchers and engineers here are the old parts from KSP. Here is a list of all included ships, along with the game version they were last present in. In terms of structure, they are exact replicas of the originals. Ships listed as reconstrctions were never in the stock game. > Kerbal 1A (Original), a reconstruction of the Kerbal 1A with old parts. > Kerbal 5 (Original), a reconstruction of the Kerbal 5 with old parts. 1: The command pod has been made unmanned as there were never any internals made. The parts are edited slightly (name, description, and modules). I did this not only to make them work in the new game, but also so they don't overwrite the newer parts and are a bit different. (You can change all that in the part file). It has been a while since this mod was lost and I know a few of you have been wanting it back, so here it is. I originally released this mod over a year ago. At some point I didn't have time for KSP anymore and the mod drifted away, SpacePort got taken down and the mod was lost. I'd like to thank Blspblackdeath for getting this mod back for everyone to use. I have given the mod over to Blspblackdeath to host and be responsible for. Unfortunately, I don't have much time for KSP anymore. I am still active on the forums and will be around to help if any problems arise, though. I would also like to thank, Camelotking524, Blspblackdeath and Nli2work for the work they did in helping make this mod. I couldn't have done it by myself. Another thank you goes to the newest member of the Kerbal Historical Institute TheMoonRover who principally contributed in the last update. All credit goes to Squad for the original parts.